Problems with accuracy and recognition of the written word, decoding of words (phonetics), reading comprehension and slow growth of vocabulary come in a variation of forms of Dyslexia and Dysphonesia (problems with blending pairs... see below). Spelling and Visual memory weaknesses prevent a child from having a strong memory of what many common words look like. Using multi-sensory materials and techniques is the most effective help. With spelling, 96% of the English words are regular. A Dyslexic’s spelling word list should be very limited and the use of computers for spelling word practice and tests is encouraged. Spelling words forwards and backwards is a big help for long-term memory of spelling words. Please do not tell a Dyslexic to use the dictionary to find the spelling of a word as they will have trouble locating it, which may cause frustration. There are many ways in which our children with dyslexia/dysphonesia can be helped. One way is to teach them how to break words into different sounds. Then how to write the different sounds and create and build new words. This helps with both reading and writing. As previously mentioned, children with dyslexia have poor processing power due to signals sent from one part of the brain to the other through various neural pathways are often misaligned. In order to improve/re map those areas a multi-sensory teaching method is favoured…as this works through 4 senses (touch, sight, speech and hearing) and uses the left side in tandem with the right, which means the information is far more likely to be retained. Dysphonesia is a very important area to work on as previously mentioned…children with dyslexia and/or dysphonesia very quickly improve their single syllable words (dog…cat…rug) with the use of phonics. Mono syllabic words are slightly more challenging…we can improve this area by breaking down the words into syllables like SUM-MER…WIN-DOW, etc. We also need to introduce work on blends which is equally important. What are blends?…blends are pairs of letters that become a single sound like sh and ch and depending on where they are placed, as this could have a slight variation of sound. With children going into second level schools it is also worth considering Italian or Spanish as a preferred language choice, if a 2ndlanguage choice is mandatory. As previously mentioned, they appear to have a lower rate of dyslexia which could be due in part to fewer variations of the way a word sounds in relation to how the word is written down (reading and spelling). 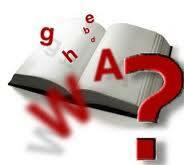 “The average language has about 50,000 words in its vocabulary compared to English which has 1 million. French is second with a quarter million words" - Lloyd Lofthouse. Visual stress can also be a problem with around 20% of the world’s population suffering with this…however don’t be tricked into believing that this can cure dyslexia. Visual stress aids can certainly help with visual tracking and give words greater clarity, which can give improved reading levels for some students presenting with visual stress, but it is not a cure. I have posted an article on this condition previously. Hand writing is often slow in sufferers due to poor word recognition and retention…often students will look up at the board twice to write down one word. It’s also important to strengthen memory and this will improve writing skill along with tuition in this area (dysgraphia). We use a variation of software and games in our tuition...all the work we do engages the main senses (multi-sensory) to stimulate and improve our student’s literacy skills and we generally find that they improve by one reading year for every 50 hours of intervention. We feel this is in part to do with the holistic approach we take in our training programme at www.dublin-cetc.com. Please ask for professional advice as our articles are to guide only.